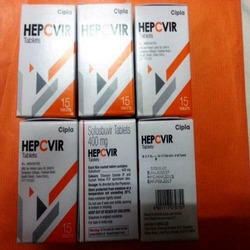 Prominent & Leading Exporter from Nagpur, we offer hepcivir tablet, daclatasvir tablet, hepcinat lp, hepcinat tablet, zytiga tablets and zelgor abiraterone tablets. To satisfying the varied demands of our valuable clients we are highly engaged in offering optimum quality Hepcivir Tablet in the market. Moreover, offered products are available in market in large quantity and clients can buy these products from us within the committed time frame. 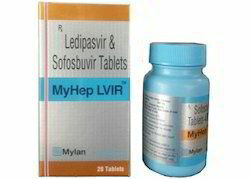 It is applicable to fight with chronic hepatitis C and can buy the offered range at the reasonably prices with best packaging options. 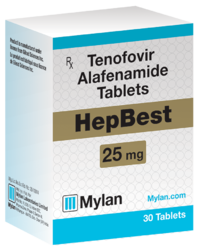 Declahep is indicated in combination other medicinal products for the treatment of chronic hepatitis C virus (HCV) infection in adults. 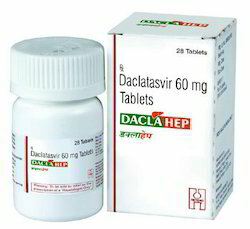 Declahep (Daclatasvir) for use with sofosbuvir to treat hepatitis C virus (HCV). 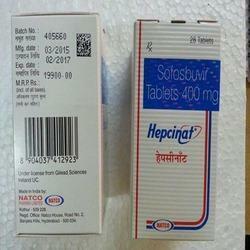 We are Leading Supplier and Dropshipper of Medicine Hepcinat LP, Hepcinat and Sofosbuvir. 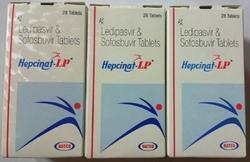 Active Ingredients: Hepcinat LP contains Ledapasvir 90 MG and Sofosbivir 400 Mg.
We are actively involved in offering an excellent range of Hepcinat Tablet. The offered products are provided to our valued clients in various packaging options. These products are highly used for the treatment. Offered products are developed by utilizing optimum quality ingredients and advanced technology in line with medical industry defined standards. Furthermore, offered products are delivered within committed time limit to ensure clients' production process is not delayed. 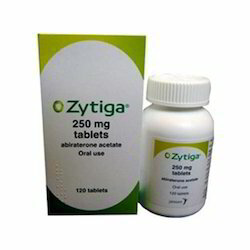 Zytiga Tablets 250 MgZytiga (Abiraterone) is an anti-cancer medication designed to manage prostate cancer. The provided tablets are processed by using quality assured chemical material and leading technology. Along with this, our offered tablets are given in attractive packaging options according to the clientele needs & demands. These tablets are tested for its quality & purity on given list quality parameters by our specialist. Indication: It is used to prevent rejection in organ transplantation. Available as: 250 mg & 500 mg tablets. Care Exim is offering excellent quality Zelgor Abiraterone Tablets 250mg to our valuable clients. Zelgor is a prescription Drug and should be used under Proper Medical Guidance and Advice. 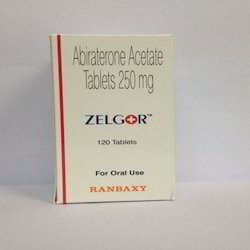 Zelgor contains Abiraterone Acetate Tablets 250 Mg. Zelgor is available in 250 Mg Strength. Zelgor comes in a pack of 120 Tablets. Zelgor is manufactured by Ranbaxy. the spread of cancer and delayed the development of pain and deterioration of the patients overall condition. 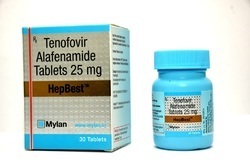 Looking for Anti Hepatitis Medicine ?